We pride ourselves on old fashioned, quality craftsmanship, integrity and genuine concern with customer satisfaction. Our kitchens, vanities and wardrobes are custom designed and built. We can arrange kitchen installation or provide you with a custom D.I.Y flat pack kitchen or easy to install pre-assembled kitchen. The choice is yours! 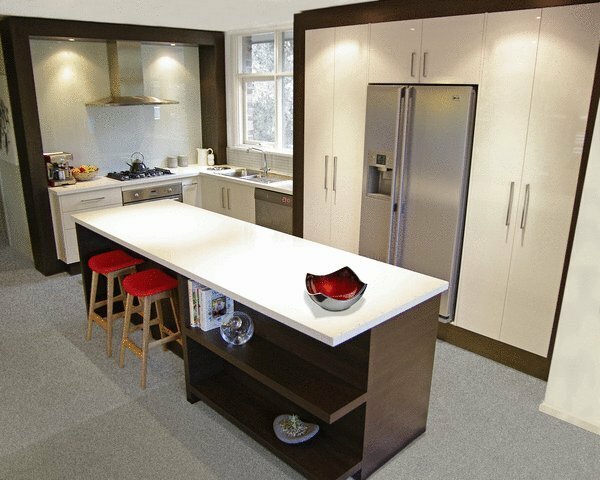 Clever Kitchens is proudly Australian owned and operated, by Cabinet Maker and Registered Master Builder Grant Martin (Reg DB-U 34210). All cabinet makers are now required by Victorian law to be registered builders, ensuring they are fully insured and your rights as a consumer are protected. See your new kitchen before it’s built with our professional 3D computer kitchen design service. We service all Melbourne suburbs, Frankston, Mount Eliza, Mornington, Mount Martha, Dromana, Red Hill and the Mornington Peninsula. Kitchen renovation? We’ll make it easy for you! Shop from our range of quality kitchen appliances, ovens, rangehoods, cooktops, sinks, basins, taps and pantry hardware. Top Quality and Low Prices...that's Clever!